ColoVista Golf Club’s historic mansion hosted a wedding photo shoot that has grabbed the nation’s attention. Inspired by Beatrix Potter’s classic Peter Rabbit stories, the whimsical wedding shoot was featured in the Huffington Post and was inspired by a “childhood tea party with your favorite storybook characters.” Pink Parasol Designs and Coordinating, a wedding event company in Buda, TX, was behind the shoot. Click HERE to read the story and to check out the beautiful photos! 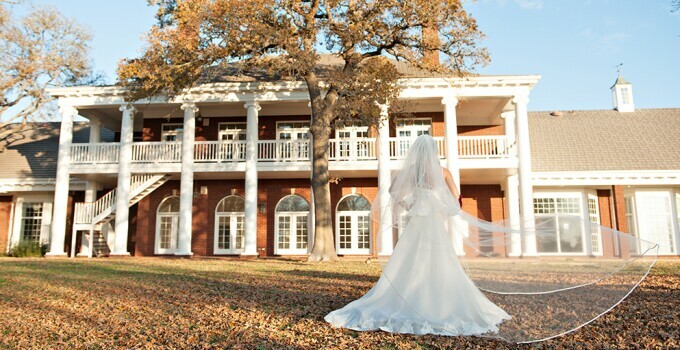 Once home to Les Appelt, designer of ColoVista’s golf course, the 14,900 square-foot mansion is the premier wedding venue in the greater Austin area. It boasts a grand, two-story foyer, Waterford crystal chandelier, custom-cut Italian marble floors and an elegant ballroom flanked with fireplaces. In the back is a heavily windowed back wall that presents breathtaking, panoramic views of the Colorado River. For more information or to book your wedding, check out their website or call 512-629-4585.